1920's vintage long drop earrings. Black glass with polychrome paint and sterling. 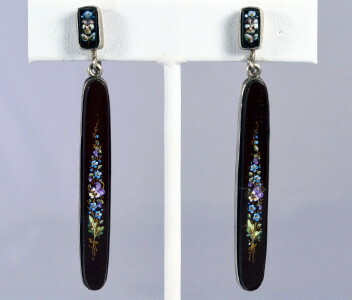 Black glass long oval drop with hand painted pansies & flower vine. Sterling setting. Coordinated painted button top front at screw backs. Marked STERLING on screw backs. 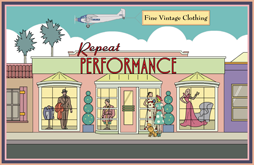 All original, true 1920's vintage.